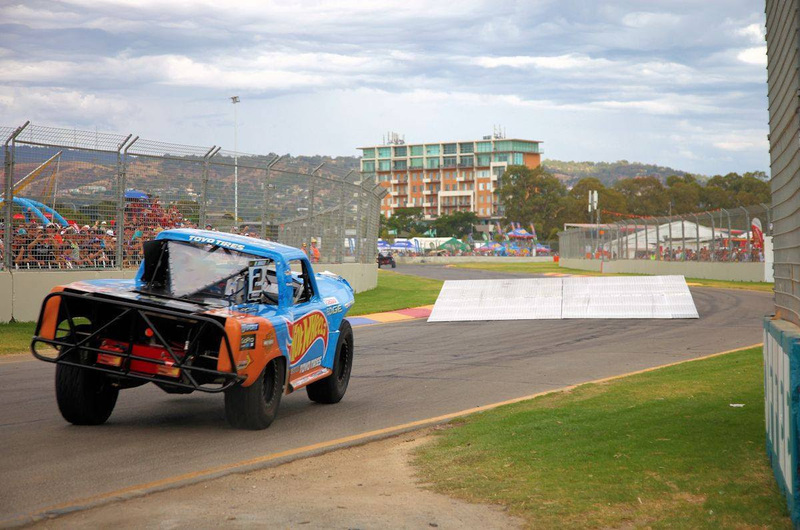 Gold Coast, Queensland (October 22, 2015) – Returning to Australia for the second time in 2015, 11 identically prepared SPEED Energy Stadium SUPER Trucks presented by TRAXXAS invade Queenland’s ultra popular beach town Surfers Paradise October 23-25 for Rounds 16, 17, 18, & 19 of the year long championship. Similar to the previous visit to Australia in February the SSTs will race the same 15-turn 1.85-mile (2.98 km) street circuit built for their much different counterparts from the V8 SuperCars, however, unlike the SuperCars the trucks will navigate over five 30-inch-tall specially designed ramps located in prime fan-viewing locations throughout the picturesque beach front circuit. The crowd-pleasing ramps will launch the trucks and their drivers nearly 20 feet (six meters) in the air and as much as 150 feet (45 meters) down course. Looking to back up his podium finishes at the Clipsal 500 in February; Gold Coast resident and stuntman Matt Mingay will lead the charge of 5 Australian drivers in front of his hometown fans. Former Gold Coast resident and Indy Lights standout Matthew Brabahm will look to improve on his fifth place finish in Toronto as he makes his second start of the 2015 season. Also joining Mingay and Brabham will be the SST new comers; the ultra versatile V8 Supercar and Sprint Car racer Paul Morris of Norwell, Queensland; Sprint Car racer Brett Thomas of Gold Coast, Queensland; and off-road racer Greg Gartner of Penola, South Australia. 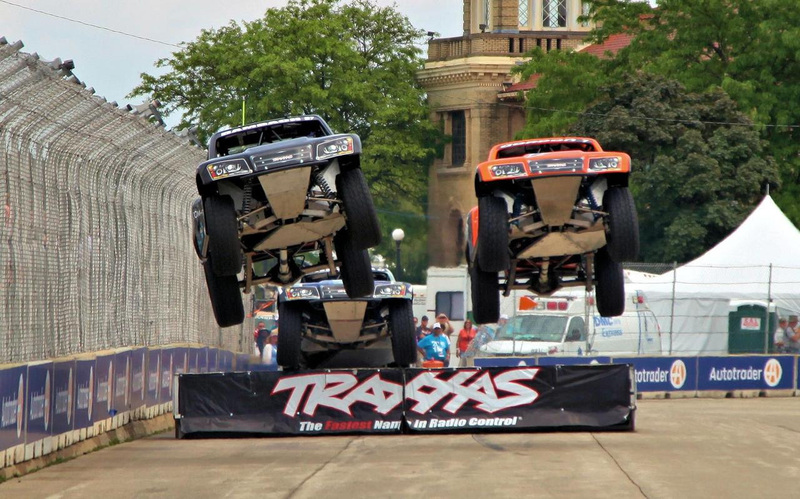 Americans returning to Australia to battle the Aussies are Robby Gordon of Orange Calif.; Team TRAXXAS drivers Sheldon Creed of Alpine, Calif. and Keegan Kincaid of Crandon, Wisc. Def Leppard and LIVE driver Bill Hynes of Nazareth, Penn. Scotty Steele of Peoria, Ariz. driving the Def Leppard / LIVE truck along with Los Angles, Calif. driver Burt Jenner in the Gladiator Tires truck will look to make there first SST start outside of the United States. Creed the series’ most-recent winner, having fought off Gordon in a thriller at the last SST event back in September at the Orange County Fairgrounds in Costa Mesa, Calif. looks to extend his points lead on Gordon with four points races. Race one will take place on Friday evening at 5:45 p.m. local time, while Race two will take place at 12:40 p.m. on Saturday, with race three taking place at8:10 am Sunday morning and Race 4 prior to the V8 Supercar finale at 1 p.m.